"I call my own shots in life, I do whatever I feel, and when my gut tells me to do something, I follow my gut feeling"
Nene Leakes says fans haven't seen the last of her. 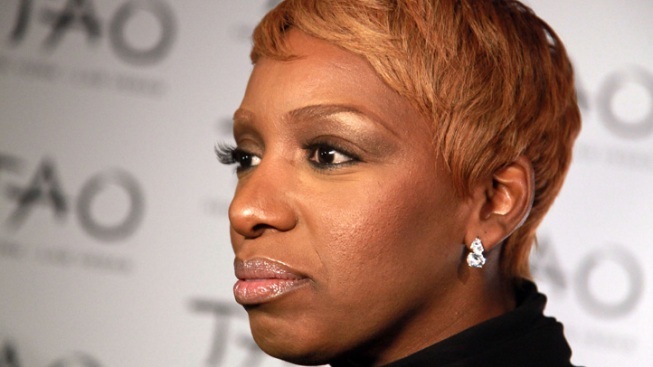 The drama heated up on Sunday's "The Celebrity Apprentice" with a double firing and NeNe Leakes – who was the third contestant to leave on Sunday, as she quit the show – is sounding off on Donald Trump and fellow contestant Star Jones. "I call my own shots in life, I do whatever I feel, and when my gut tells me to do something, I follow my gut feeling," NeNe told Billy Bush and Kit Hoover on Monday's Access Hollywood Live. "I felt like it was a toxic situation for me and for my own sanity and health reasons and everything else, I decided to leave the show," she continued. "Star was absolutely being manipulative and backstabbing and all those things, but the final straw for me was when Mr. Trump decided to switch me, take me out of my comfort zone to accommodate Star." On Sunday's episode, Trump mixed up the teams paring NeNe with La Toya Jackson, Lil' John and John Rich, while Star teamed with Meatloaf and Marlee Matlin. In addition to NeNe quitting, La Toya and Star were fired by The Donald on Sunday. "I felt he was disrespecting me," the "Real Housewives Of Atlanta" star continued. "I'd rather be around people who love and care for me. I don't want to be in toxic situations, So, I decided to say, 'Bye,' because I don't think you have to be backstabbing and lying and manipulative to raise money for a charity… we're not on 'Survivor!'" Despite NeNe's on-camera feud with Star, she felt they were attempting to bond when the cameras stopped rolling. "Star was one person on camera and another person off camera. I felt like we were trying to form a friendship, and I'm very loyal. I saw her being very backstabbing and it really threw me," she told Billy and Kit "I haven't heard from her and I don't mind not hearing form her… I don't hold a grudge and it cost me nothing to say hello, but I don't want to have anything to do with her." But fans haven't seen the last of NeNe. "Absolutely I will be back on the finale," she revealed. VIEW THE PHOTOS: Donald Trump: The Man, The Money… The Hair! The sassy reality beauty also gave Billy and Kit an update on her hit Bravo series. "We're shooting our fourth season," the "Real Housewives of Atlanta" star said. "We've been shooting for about three weeks." "The Celebrity Apprentice" returns on Sunday at 9 PM on NBC. PLAY IT NOW: Would The 'Celebrity Apprentice' Stars Vote For Donald Trump? PLAY IT NOW: Will Donald Trump Make An Announcement Soon Regarding His Run For Presidency?